Fedia Kriukov already called them out on i t more than four years ago. The “authoritarian model” thesis was factually wrong from the moment it left the printing press (perhaps this wouldn’t have happened if Stoner-Weiss was more interested in getting things right as opposed to obsessing over how “women authors are evidently less important than male authors” and “Putin’s control of the media has spread to bloggers from just TV”). 41 Comments to "Triumphs of Kremlinology"
All you say is very true. I would add that there was a gap in my travels to Russia between 1998 and 2004 and the difference I saw in those 6 years was already astonishing. Anyway the essential point is that there never is any penalty in the west for being completely wrong about Russia. No one has ever lost their job or their chance of promotion by writing badly and wrongly about the country. I know of no other area of political or economic punditry or come to that of historical scholarship where failure is so consistently rewarded. By the way what’s happened to Fedia Kriukov? There’s been nothing from him for ages. You have not seen the state of works on Ukrainian history. I am currently researching historiography on a certain period of early modern history of the country, you can notice I blog about it sometimes. Of all the works in the English language out there, there is not a single one that would meet any proper standards. And there literally is no alternative to these mediocre works, unless you speak Russian or Ukrainian that is. One of the common sins of these works for instance, is the selective use of evidence to fit predetermined outcomes. We have a dozen sources at our disposal, but they will only select one, later source, to make a predetermined conclusion. Conclusions based on wild claims, based on dubious sources that are not supported by any other documentary or archeological evidence. And they do not even bother to state where they obtained the information in many instances. Poor referencing, apart from no referencing at all, is another flaw. I have seen a claim by a certain well known author, which I have partly traced to an old chronicle, but instead this guy references a poorly structured twentieth century work. I investigated that latter work, and found out that it makes an argument that rather contradicts the author that referenced it. Contradictions and logical fallacies in a paper of about 2000 words. And what do you know, a history book which features prominently on reading lists in universities, bases an entire section on this work. He still comments here (very) occasionally. I suppose he got bored with blogging, which is a pity I suppose. Anyway the essential point is that there never is any penalty in the west for being completely wrong about Russia. Maybe the”west” is Slovenia, Estonia,Romania, Bulgaria, Albania, Saudi Arabia…..Japan, Singapore…. Does not every country has its own law? Since when in anything about 60 the most developed countries are united? You make a fair point. I should have said the Anglo American media and academic world though from what I have seen the French media and academic world are as bad. 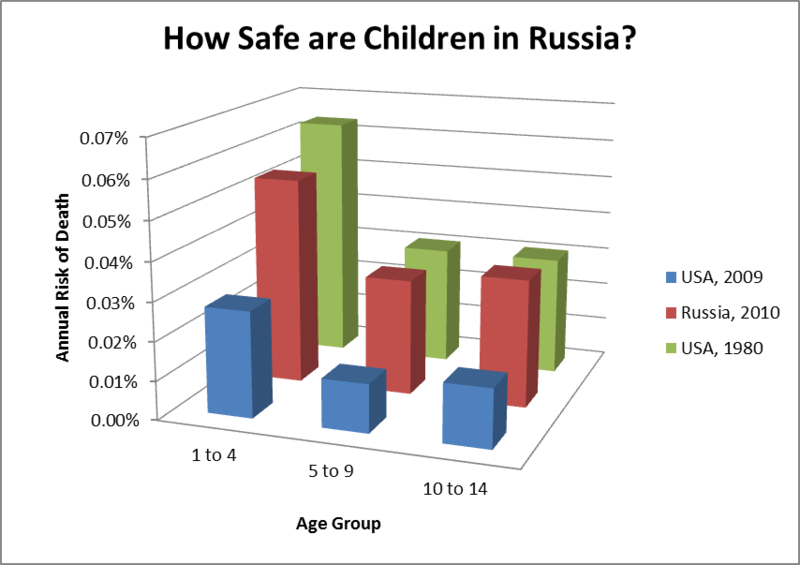 Good post, Anatoly; nothing like a clear and unambiguous graphic presentation of the data to show a trend. Correct me if I’m wrong, but it is my impression that after a most inauspicious start to his new job, Mr. McFaul has been extremely quiet, not plastering the western press with his opinions. He has certainly not asserted anything so controversial lately as what he does here. Still, I doubt his opinions have changed any, and for some reason it does not deter further license with the truth on the part of Russophobes to have their treasured tropes refuted so clearly. Having USAID booted out of the country on his watch likewise does his reputation as Ambassador no good whatsoever, not to mention adjustments to the law to more closely reflect the restrictions in the American Foreign Agents Registration Act. I imagine an Ambassador is supposed to argue for less restrictions on the free hand his country has within the host country, not more. In that light, his mission badly needs a ringing success in order to avoid the impression it has been a grotesque failure. Correct me if I'm wrong, but it is my impression that after a most inauspicious start to his new job, Mr. McFaul has been extremely quiet, not plastering the western press with his opinions. He has certainly not asserted anything so controversial lately as what he does here. Still, I doubt his opinions have changed any, and for some reason it does not deter further license with the truth on the part of Russophobes to have their treasured tropes refuted so clearly. By the way what's happened to Fedia Kriukov? There's been nothing from him for ages. This, from the guy who believes that Ukraine is the creation of Joseph Stalin. I appreciate it a lot that you have understand me. It is a great loss for our cause that so many people use this word the west, the Russian the most. This word the west is on daily bases abused and serves as a cover for Britain’s and America’s policy of isolating Russia. Today, serious newspapers use words developed and undeveloped world. In every country we will find something “western” and barbaric. As a Croat I know when my people speak they refer to all developed world as the west. It is humiliating and it seems great people like Nikola Tesla, Robert Bartini are not “westerner” and Buffalo Bill and Al Capone are. The same we could say to the Russian literature, is the Russian literature not part of the western culture and what would be the western culture without Russian literature? Did Stalin not start a massive programme of Ukrainisation? Did he not unite East and West Ukraine? If you cannot answer these questions in the negative, then please bugger off. Sorry, I'm not interested in debating with someone who believes that Ukraine is Stalin's creation, or that he was abducted by UFOs, or that the Holocaust didn't happen, or that Elvis is alive. I was merely pointing out to others who come across this thread the nature of the guy with the opinions of Ukrainian historiography. Good day. No, Stalin started the Russification and cleansing of Ukraines. He did unite Ukraine, in the same manner he united the top half of Eurasia under the Soviet Empire. He was as crazy as Hitler, and you seem to be a big fan of him. Khrushchev was the first to slow down, and in some cases even reverse the Russification of Ukraine, too bad Brezhnev followed him and moved towards Russification once again with his apparent dream of a single Slavic people controlling all of Eurasia. Gorbachev followed, and glasnost gave Ukrainians a shot at being actual people, so they took it and voted for independence in the referendum. Even Crimea had had a majority vote, which should tell you a lot about Stalin's efforts. Most Ukrainian politicians seem to have taken lessons from Russia though and the country now is only slightly more democratic than Belarus. Could end up being a Russian state again as the younger people resent their politicians more and more. Pity, but c'est la vie. Oh, you do speak French, right? It's the Russian way. Sorry, I’m not interested in debating with someone who believes that Ukraine is Stalin’s creation, or that he was abducted by UFOs, or that the Holocaust didn’t happen, or that Elvis is alive. I was merely pointing out to others who come across this thread the nature of the guy with the opinions of Ukrainian historiography. Good day. You cannot answer those questions in the in the negative, instead you resort to comments like this. Nice try comparing the issue to UFO abductions, Elvis, and Holocaust denial. I will have a good day knowing that you are moron. What part of "I’m not interested in debating" do you not understand? Another thing I'm not interested in debating with you - but am happy to point out here so others can see the nature of your "insights" - is your claim on your blog that the Ukrainian language is an artificial one like Esperanto, which almost no one actually speaks. Being rude and insulting as you are does not eliminate those facts about your beliefs. I don't care in what you are interested in, you started this, and you should be a man enough to continue in that. I have some numbers for you. In 1917 only 12% of Kievites declared that they are Ukrainian. In 2008 Gallup conducted a poll which was based on a 2 hour interview, the respondents had the choice to do it in Russian or Ukrainian, more than 80% chose Russian. Everyone who has been to Ukraine tells that people do not speak Ukrainian. Back in early 20th century, Ukrainian newspapers and magazines would close for lack of subscribers, the common complaint was that people could not understand Ukrainian, even today Ukrainian magazines close down for the lack of subscribers. Can you say why this is? Can you prove that Ukrainian is not an artificial language that only enthusiasts and West Ukrainians speak? I guess you cannot, but instead you want to warn the readers about my views. Sir, you must be a moron, and it is not I who is rude here. Thank you for reading my blog. ;-) You don't appear to have the balls to comment there. AK: Redacted on request of one of the discussion participants. Interesting results. Kiev Governate had 3.559 million people. Of those, 79.2% declared themselves "Little Russians" (the designation for people now considered Ukrainians), 12.1% Jews, and only 5.9% Great Russians. The Kiev region in 1897 was thus about as Russian as the Warsaw region (4.5% Russian) at the same time period. In 1897, the city of Kiev itself was a small Russian imperial administrative center of only about 250,000 people (less than 10% of the province's population). In this city, Russians predominated, 54% of the population; Ukrainians were only 22%. There were also large Polish and Jewish minorities - Kiev was once a Polish town, with a Polish elite and Polish mayor well into the 19th century. Things get quite interesting when you look at southern and eastern Ukraine - which today are overwhelmingly Russian-speaking. In 1897 these regions were much more Russian than Kiev - but still hardly Russian. Ekaterinoslav Governate, which covers modern Dnipropetrovsk, Luhansk, Mariopol, etc. was about 70% Ukrainian and only 18% Russian. Three times more Russian than the Kiev region at that time, but much less Russian-speaking then, than it is now. Similarly, Kharkov governate was 80% Ukrainian (slighty more than the Kiev region!) and 17% Russian. Kherson Governate, which was in southwestern Ukraine and included the city of Odessa, was about 53% Ukrainian and 22% Russian, with large Moldavian/Romanian, German and Jewish minorities. The city of Odessa itself - the largest city in what is now Ukraine, in 1897 (with a population of about 400,000 within the city itself) was 49% Russian, 31% Jewish, and 9% Ukrainian. Tauridia Governate, which included Crimea plus parts of the southern Black Sea coast, was 42% Ukrainian, 28% Russian, and 14% Crimean Tatar. Russians were the majority only in Sebastopol, a narrow strip along southern coast (other than Yalta, which was majorty-Tatar) and Kerch. Tatars dominated most of the interior of the Crimean peninsula, Ukrainians the Black Sea coast north of the peninsula, which was part of the province. An important caveat is that of course many (perhaps even most) of the self-designated Little Russians/ Ukrainians, while speaking the Ukrainian/Little Russian rather than Great Russian languages, were still loyal to the Russian State or considered themselves as "locals" or "peasants" rather than as either Russians or Ukrainians. One should not confuse "Litttle-russian speakers" or "Ukrainian-speakers" with ideological Ukrainian patriots. But the point is that whatever their political orientation, these people were clearly not Russians in the modern, ethnic-Russian sense of the word and clearly did not consider the Russian language to be their language. So, although one can dishonesly pick out a particular population point such as the small city of Kiev which had a Russian majority, the overall picture is that Ukraine was quite Ukrainian in a cultural/linguisitc sense in 1897, and indeed much more Ukrainian in 1897, prior to Soviet rule, than it is today, post-Soviet rule. In 1897, The Kiev region was about as Russian as the Warsaw region, and southern and eastern Ukraine were about as Russian in 1897 as the Kiev region is today. Thus, Soviet rule on balance is associated with increased rather than deceased use of Russian in Ukraine. That data is very interesting AP, thanks for sharing. I think a degree of Russification would have been inevitable under any unified Eurasian regime in the 20th century. Perhaps more so had the Russian Empire survived - the USSR, of course, alternated between repressing (under Stalin) and promoting (20's, post-50's) Ukrainian identities; unlikely this would have occurred under a surviving Empire. The proper comparison, I think, is with pre-Revolutionary France (which happens to broadly correlate with Russia's per capita level of development in 1900). You too had related languages that were actually their own languages in numerous places like the south and the Vendee. A century of standardized schools teaching the Parisian version homogenized the population linguistically. I imagine this is what have happened without the USSR, which - with the important exception of Stalinism - for most of its period had a negative view of "Great Russian chauvinism" and promoted minority cultures (so it's a bit ironic that Ukrainian nationalists hate it so much). Thanks, AK. I think you are essentially correct, although there was more of a history of resistence against Russia by Ukrainians (Petliura, Cossack uprisings, etc.) than by Provencals against France, suggesting that eventual integration would not have gone quite as smoothly. However it probably would have happened had Tsarist Russia survived. A Yale professor (I once linked to his article) made the brilliant observation that national orientation is basically determined at the point and under the conditions when a population achieves a critical percentage of literacy (about 50%). Galicia and southern Ukraine were the first Ukrainian regions to achieve this level of literacy, doing so in the late 19th century to early 20th century. Galicia achieved this point when it was part of Austria-Hungary. The conditions were thus Ukrainophile, anti-Russian, and anti-Polish. Ironically the Galician project was largely the work of Ukrainian exiles from places such as Kharkiv. Southern Ukrainian conditions were Russian Imperial. Those people, while as shown by the census self-identified as Ukrainians (Little Russians) rather than Russians, saw themselves as members of the Russian Empire. The area of Kiev and points west remained mostly illiterate, a blank slate. The Poles remained the local elite in those regions (so much for the Russian myth that Ukraine was "Russian" for 300 years - de jure, yes, but on the ground there was little Russian influence in the Kiev region and points west,), and were not interested in promoting education with a pro-Russian orientation. The little local East Slavic intelligentsia was mostly Ukrainiophile but had no access to mass education so its impact was small. This region did not achieve mass literacy until the 1920's - the exact period under Soviet rule when Ukrainization was flourishing. Many of the Ukrainizer teachers, were leftist Galician exiles (most of whoim would be arrested in killed in the 1930's) so in a sense the Ukrainian orientation that originated in eastern Ukraine and took root in Galicia in the 19th century, now returned to central Ukraine in the 1920's. The subsequent repression of Ukrainian culture in the 1930's came too late - national identification was "set" and could not be erased. People from those once-Polish dominated regions continue to be patriotic Ukrainians, although given the different circumstances of how they achieved national self-identification (1920's Soviet Ukraine vs. 1890's Austria-Hungary) their political scene is different from that of Galicia, even though both are Ukrainian. Despite the wishes of Rusisan nationalists, this region is lost to Russia (in terms of self-identification) forever. The lesson here, of course, is that if the Tsarist system had survived, the people of central Ukraine would have eventually become literate under the Tsarist context, and probably would have come to resemble modern southern Ukrainians. Of course, had Tsarism survived, Galicia would remain a constant thorn in the side, a place for dissident exile and clandestine printing, broadcasts across the border, etc. etc. Galicia's identity was set by the end of the 19th century, there was no going back. This might have complicated things quite a bit. Ultimately, the real strategic mistake by Russia was in annexing Warsaw rather than Galicia following the Napoleonic wars. In the early 19th century Galicia was also still mostly a "blank slate" and could have become a Russian bastion due to local conflicts with Poles (indeed, the local Galician elite were often Russophiles - look up Denis Zubrytsky). This would have made Russia's place in Ukraine quite secure. Well, enough of my rant; it's an interesting topic, though. What part of “I’m not interested in debating” do you not understand? Another thing I’m not interested in debating with you – but am happy to point out here so others can see the nature of your “insights” – is your claim on your blog that the Ukrainian language is an artificial one like Esperanto, which almost no one actually speaks. I don’t care in what you are interested in, you started this, and you should be a man enough to continue in that. Thank you for reading my blog. 😉 You don’t appear to have the balls to comment there. Interesting results. Kiev Governate had 3.559 million people. Of those, 79.2% declared themselves “Little Russians” (the designation for people now considered Ukrainians), 12.1% Jews, and only 5.9% Great Russians. The Kiev region in 1897 was thus about as Russian as the Warsaw region (4.5% Russian) at the same time period. In 1897, the city of Kiev itself was a small Russian imperial administrative center of only about 250,000 people (less than 10% of the province’s population). In this city, Russians predominated, 54% of the population; Ukrainians were only 22%. There were also large Polish and Jewish minorities – Kiev was once a Polish town, with a Polish elite and Polish mayor well into the 19th century. Things get quite interesting when you look at southern and eastern Ukraine – which today are overwhelmingly Russian-speaking. In 1897 these regions were much more Russian than Kiev – but still hardly Russian. Ekaterinoslav Governate, which covers modern Dnipropetrovsk, Luhansk, Mariopol, etc. was about 70% Ukrainian and only 18% Russian. Three times more Russian than the Kiev region at that time, but much less Russian-speaking then, than it is now. Kherson Governate, which was in southwestern Ukraine and included the city of Odessa, was about 53% Ukrainian and 22% Russian, with large Moldavian/Romanian, German and Jewish minorities. The city of Odessa itself – the largest city in what is now Ukraine, in 1897 (with a population of about 400,000 within the city itself) was 49% Russian, 31% Jewish, and 9% Ukrainian. An important caveat is that of course many (perhaps even most) of the self-designated Little Russians/ Ukrainians, while speaking the Ukrainian/Little Russian rather than Great Russian languages, were still loyal to the Russian State or considered themselves as “locals” or “peasants” rather than as either Russians or Ukrainians. One should not confuse “Litttle-russian speakers” or “Ukrainian-speakers” with ideological Ukrainian patriots. But the point is that whatever their political orientation, these people were clearly not Russians in the modern, ethnic-Russian sense of the word and clearly did not consider the Russian language to be their language. I think a degree of Russification would have been inevitable under any unified Eurasian regime in the 20th century. Perhaps more so had the Russian Empire survived – the USSR, of course, alternated between repressing (under Stalin) and promoting (20’s, post-50’s) Ukrainian identities; unlikely this would have occurred under a surviving Empire. The proper comparison, I think, is with pre-Revolutionary France (which happens to broadly correlate with Russia’s per capita level of development in 1900). You too had related languages that were actually their own languages in numerous places like the south and the Vendee. A century of standardized schools teaching the Parisian version homogenized the population linguistically. I imagine this is what have happened without the USSR, which – with the important exception of Stalinism – for most of its period had a negative view of “Great Russian chauvinism” and promoted minority cultures (so it’s a bit ironic that Ukrainian nationalists hate it so much). The area of Kiev and points west remained mostly illiterate, a blank slate. The Poles remained the local elite in those regions (so much for the Russian myth that Ukraine was “Russian” for 300 years – de jure, yes, but on the ground there was little Russian influence in the Kiev region and points west,), and were not interested in promoting education with a pro-Russian orientation. The little local East Slavic intelligentsia was mostly Ukrainiophile but had no access to mass education so its impact was small. This region did not achieve mass literacy until the 1920’s – the exact period under Soviet rule when Ukrainization was flourishing. Many of the Ukrainizer teachers, were leftist Galician exiles (most of whoim would be arrested in killed in the 1930’s) so in a sense the Ukrainian orientation that originated in eastern Ukraine and took root in Galicia in the 19th century, now returned to central Ukraine in the 1920’s. The subsequent repression of Ukrainian culture in the 1930’s came too late – national identification was “set” and could not be erased. People from those once-Polish dominated regions continue to be patriotic Ukrainians, although given the different circumstances of how they achieved national self-identification (1920’s Soviet Ukraine vs. 1890’s Austria-Hungary) their political scene is different from that of Galicia, even though both are Ukrainian. Despite the wishes of Rusisan nationalists, this region is lost to Russia (in terms of self-identification) forever. Of course, had Tsarism survived, Galicia would remain a constant thorn in the side, a place for dissident exile and clandestine printing, broadcasts across the border, etc. etc. Galicia’s identity was set by the end of the 19th century, there was no going back. This might have complicated things quite a bit. Ultimately, the real strategic mistake by Russia was in annexing Warsaw rather than Galicia following the Napoleonic wars. In the early 19th century Galicia was also still mostly a “blank slate” and could have become a Russian bastion due to local conflicts with Poles (indeed, the local Galician elite were often Russophiles – look up Denis Zubrytsky). This would have made Russia’s place in Ukraine quite secure. Well, enough of my rant; it’s an interesting topic, though. That’s an interesting graph. I remember Gorbachov’s anti-alcohol campaign very well. At school we were shown a movie of retarded kids, the kind of thing that you watch while covering your eyes. They told us that if we drank, our kids would turn out like that. There were also long lectures without pictures. I remember adults talking about coupons on alcohol, stories of people drinking cologne, bug spray and machine alcohol. The graph shows a huge drop in alcohol poisoning deaths in the late 1980s. Dope enthusiasts love to say that banning doesn’t work. Lefty American historians always say that Prohibition didn’t work in the US, yet I don’t remember them ever citing any numbers. Recently I saw an ad for a Ken Burns documentary about the Prohibition subtitled “how can everyone have been so wrong?” or something like that. If Ken Burns puts his weight behind an idea, how can that idea not be wrong? That graph says that Gorbachov’s anti-alcohol campaign, which I remember so well, worked. It wasn’t a ban of course, just a severe restriction in supply, an increase in price and lots of propaganda. But the graph suggests that it worked spectacularly. Fewer people died. I’m keeping my “banning works” assumption. (1) Dope is simply not comparable to vodka. They are leagues apart in their detrimental effects. The only major drug on objective measures of dependency and harm that is as bad as vodka is heroin. Even setting aside considerations of personal freedoms, is, say, doubling the incarceration rate an acceptable price for halving the number of weed users? I don't know. I suppose people can validly have different views on that. I'm in the camp that it is not. (2) Restrictions on alcohol now are far less severe and "softer" than under Gorby (mainly limited to higher excise taxes and information campaigns - i.e., as in the West) and as shown on the graph, death rates from alcohol poisoning have recently plunged to even lower levels than even in the late 1980's. This demonstrates that a hardline approach isn't necessarily the best way forwards. "a severe restriction in supply, an increase in price and lots of propaganda"
I believe that's more or less what they do to combat alcoholism in the Nordic countries. Seems to work, too. But you admit it wasn't a ban, so I don't see how you get the conclusion "banning works" from that. I suspect Prohibition (which *was* a ban) also argues against your position, though I don't know for sure. It's worth looking into though. month. Samagon (hooch) was plentiful, though, as was Russian Eau de Cologne, which wasn't dabbed behind of one's ears. That's an interesting graph. I remember Gorbachov's anti-alcohol campaign very well. At school we were shown a movie of retarded kids, the kind of thing that you watch while covering your eyes. They told us that if we drank, our kids would turn out like that. There were also long lectures without pictures. I remember adults talking about coupons on alcohol, stories of people drinking cologne, bug spray and machine alcohol. The graph shows a huge drop in alcohol poisoning deaths in the late 1980s. Dope enthusiasts love to say that banning doesn't work. Lefty American historians always say that Prohibition didn't work in the US, yet I don't remember them ever citing any numbers. Recently I saw an ad for a Ken Burns documentary about the Prohibition subtitled "how can everyone have been so wrong?" or something like that. If Ken Burns puts his weight behind an idea, how can that idea not be wrong? That graph says that Gorbachov's anti-alcohol campaign, which I remember so well, worked. It wasn't a ban of course, just a severe restriction in supply, an increase in price and lots of propaganda. But the graph suggests that it worked spectacularly. Fewer people died. I'm keeping my "banning works" assumption. (1) Dope is simply not comparable to vodka. They are leagues apart in their detrimental effects. The only major drug on objective measures of dependency and harm that is as bad as vodka is heroin. Even setting aside considerations of personal freedoms, is, say, doubling the incarceration rate an acceptable price for halving the number of weed users? I don’t know. I suppose people can validly have different views on that. I’m in the camp that it is not. (2) Restrictions on alcohol now are far less severe and “softer” than under Gorby (mainly limited to higher excise taxes and information campaigns – i.e., as in the West) and as shown on the graph, death rates from alcohol poisoning have recently plunged to even lower levels than even in the late 1980’s. This demonstrates that a hardline approach isn’t necessarily the best way forwards. I believe that’s more or less what they do to combat alcoholism in the Nordic countries. Seems to work, too. But you admit it wasn’t a ban, so I don’t see how you get the conclusion “banning works” from that. I suspect Prohibition (which *was* a ban) also argues against your position, though I don’t know for sure. It’s worth looking into though. Gorby's efforts began to crumble after 1988 anyway, as people began to create their own solution, though at a fairly moderate rate; it only exploded after Yeltsin removed the state monopoly on vodka production in 1992. The trick I believe is to step up measures in a sustained and *gradual* way, so that - much like the frog that doesn't notice it is going to get boiled - people don't start to realize the slow creeping up of prices on hard liquors and unconsciously adjust their consumption habits over a number of years (as opposed to being hit with sudden price rises or shortages that will cause a substantial fraction of them to seek other, far worse - e.g. cologne, etc - solutions). Gorby’s efforts began to crumble after 1988 anyway, as people began to create their own solution, though at a fairly moderate rate; it only exploded after Yeltsin removed the state monopoly on vodka production in 1992. The trick I believe is to step up measures in a sustained and *gradual* way, so that – much like the frog that doesn’t notice it is going to get boiled – people don’t start to realize the slow creeping up of prices on hard liquors and unconsciously adjust their consumption habits over a number of years (as opposed to being hit with sudden price rises or shortages that will cause a substantial fraction of them to seek other, far worse – e.g. cologne, etc – solutions). I think that “basically determined” is too strong a term. “Strengthened in many cases” sounds better to me. I suspect that humans have thought in ethnic terms in all historical periods. It’s inhuman not to think in such terms at least on occasion. Mass literacy is very new. The historical record from before mass literacy is full of people talking about their ethnic identities. Moving away from generalities and towards the Russia/Ukraine region, I’m pretty sure that the Primary Chronicle divided the tribes of the Rus’ state into two categories: Slavic and non-Slavic. All the tribes which the authors of the chronicle classified as non-Slavic are called Finno-Ugric by modern historians. So there were at least two levels of ethnic identity in this largely illiterate population in the 12th century: 1) local tribe 2) Slavic or Finno-Ugric. I seem to remember that Herberstein, a German who wrote a travel book about Muscovy in the 16th century, wrote that Muscovy contained two peoples: Russians and Tatars. My assumption is that pretty much everyone in every period has always had a lot of stuff to say about the many layers of his group identity. I haven’t studied the history of what we now call Ukraine closely, but my assumption is that in the 19th century the LIttle Russian or Ukrainian identity was mostly a subset of the Russian identity. I’m assuming that most of these people thought of themselves as a distinct type of Russians, similarly to how Bavarians, for example, have considered themselves to be a distinct type of Germans since long before mass literacy. At some point this view went out of fashion. I’m sure that this happened among the local intelligentsia several generations before it happened among the masses. There was a European-wide intellectual fashion for local nationalisms, often small-scale, before and after the French Revolution. That may have played a role. Another example of one group ceasing to think of itself as a subset of another group is Portugal. I would define nationalism as the belief in an imagined community defined by common history and distinctiveness, that ought to be ruled only by a member of the same "nation," and that only this "nation" has the right to rule over land that its people have occupied historically. This is a rather modern idea. You are correct that people grouping or thinking of themselves in terms of ingroups and outgroups is a fundamental aspect of human nature: however, doing so in terms of nations is a recent phenomenon which basically arose in the late 18th/early 19th century. People needed to be taught to accept and define themselves on national terms. Pre-nationalism, people defined themselves by their faith, or their social class, their family or clan, or perhaps as subjects of a particular king, prince, or tsar. They recognized linguistic differences but these were not central to self-identity. Pre-modern Ukrainian peasants considered themselves to be subjects of the tsar, and Orthodox, but they did not think of themelves as a subset of the Russians/"Moskali" (how Russians were referred to be Ukrainian peasants from Kiev or Poltava regions), no more than they thought of themelves as Ukrainians. The latter link decribes the interesting effect of education on perception, describing some famous studies by Luria in the USSR and comparing them to self-identificaion on census. I don't have permission to quote from those chapters, but to paraphrase: Luria found that pre-literate people categorized shapes by their reseblence to practical objects. Rather than group circles with circles or squares with squares, they groups together objects by how they could be used together. Educated people, in contrast, grouped squares with sqaures. Similarly, in the 1926 soviet census, pre-modern illiterate people did not understand or define themselves as Tadjiks, or whatever, but as people from particular villages, or as having a particular religion, or as being a herdsman. Classification was concrete and functional, not abstract. Nationality, like shapes of Euclidian geometry, is a learned abstract concept that is dependent on mass schooling. Secondary to that point, once learned it cannot be "unlearned." National-self conception be created among illiterate pre-modern people, but once it has been achieved it is incredibly resilient and resistent to change.
" A Yale professor (I once linked to his article) made the brilliant observation that national orientation is basically determined at the point and under the conditions when a population achieves a critical percentage of literacy (about 50%). " I think that "basically determined" is too strong a term. "Strengthened in many cases" sounds better to me. I suspect that humans have thought in ethnic terms in all historical periods. It's inhuman not to think in such terms at least on occasion. Mass literacy is very new. The historical record from before mass literacy is full of people talking about their ethnic identities. Moving away from generalities and towards the Russia/Ukraine region, I'm pretty sure that the Primary Chronicle divided the tribes of the Rus' state into two categories: Slavic and non-Slavic. All the tribes which the authors of the chronicle classified as non-Slavic are called Finno-Ugric by modern historians. So there were at least two levels of ethnic identity in this largely illiterate population in the 12th century: 1) local tribe 2) Slavic or Finno-Ugric. I seem to remember that Herberstein, a German who wrote a travel book about Muscovy in the 16th century, wrote that Muscovy contained two peoples: Russians and Tatars. My assumption is that pretty much everyone in every period has always had a lot of stuff to say about the many layers of his group identity. I haven't studied the history of what we now call Ukraine closely, but my assumption is that in the 19th century the LIttle Russian or Ukrainian identity was mostly a subset of the Russian identity. I'm assuming that most of these people thought of themselves as a distinct type of Russians, similarly to how Bavarians, for example, have considered themselves to be a distinct type of Germans since long before mass literacy. At some point this view went out of fashion. I'm sure that this happened among the local intelligentsia several generations before it happened among the masses. There was a European-wide intellectual fashion for local nationalisms, often small-scale, before and after the French Revolution. That may have played a role. The people of what is now Portugal considered themselves to be a type of Spaniards for many centuries. When the rest of the Iberian peninsula united into a single state that claimed the word Spain for itself, the Portuguese stopped thinking of themselves as a type of Spaniards. That happened long before mass literacy. I don't think that mass literacy is necessary for these sorts of changes, though it can probably help them along, speed them up. The people of what is now Portugal considered themselves to be a type of Spaniards for many centuries. When the rest of the Iberian peninsula united into a single state that claimed the word Spain for itself, the Portuguese stopped thinking of themselves as a type of Spaniards. That happened long before mass literacy. I don’t think that mass literacy is necessary for these sorts of changes, though it can probably help them along, speed them up. Yes, but I suspect the Spaniards the pre-modern Portuguese they were thinking of themselves of, were not "Spaniards" in a modern nationalistic sense. Another example: before the modern idea of nations there was of course the political entity of "Poland" - the Rzeczpospolita Polska. However according to that pre-modern understanding, a "Pole" was a nobleman - he could be what we would now consider to be an ethnic Lithuanian, or an ethnic Ruthenian/Ukrainian, or an ethnic Pole. In that world, a Roman Catholic, Polish-speaking peasant was not considered to be a "Pole", but just a peasant. People were of course aware of linguistic differences but these did not factor into self-national identity. It took a nation-building project aimed at the peasants to teach them to become Poles, in the modern nationalistic meaning of that word. As was the case with every other modern nation. month. Samagon (hooch) was plentiful, though, as was Russian Eau de Cologne, which wasn’t dabbed behind of one’s ears. Yes, but I suspect the Spaniards the pre-modern Portuguese they were thinking of themselves of, were not “Spaniards” in a modern nationalistic sense. Another example: before the modern idea of nations there was of course the political entity of “Poland” – the Rzeczpospolita Polska. However according to that pre-modern understanding, a “Pole” was a nobleman – he could be what we would now consider to be an ethnic Lithuanian, or an ethnic Ruthenian/Ukrainian, or an ethnic Pole. In that world, a Roman Catholic, Polish-speaking peasant was not considered to be a “Pole”, but just a peasant. People were of course aware of linguistic differences but these did not factor into self-national identity. "People were of course aware of linguistic differences but these did not factor into self-national identity"
Not always the case, however. There's some interesting material in Robert Bartlett's "The Making of Europe" (which deals with Europe's internal colonization in the Middle Ages). He cites appeals by Czech and Polish leaders to each other, where they state that their peoples should be allied because of their closeness in language. There's also the way in which German colonists and immigrants defined themselves vis-a-vis local peoples; if you wanted to join a guild, for instance, you had to present a certificate proving your German ancestry (Geburtsbrief). Some other examples: when founded, Charles University in Prague divided its students into four "nations" (Czechs, Germans, and I forget the two others). When visiting Tallinn, I discovered that guilds were also divided this way: one guild for Germans, another for everyone else (Estonians, Finns, Swedes). I would define nationalism as the belief in an imagined community defined by common history and distinctiveness, that ought to be ruled only by a member of the same “nation,” and that only this “nation” has the right to rule over land that its people have occupied historically. This is a rather modern idea. People needed to be taught to accept and define themselves on national terms. Pre-nationalism, people defined themselves by their faith, or their social class, their family or clan, or perhaps as subjects of a particular king, prince, or tsar. They recognized linguistic differences but these were not central to self-identity. Pre-modern Ukrainian peasants considered themselves to be subjects of the tsar, and Orthodox, but they did not think of themelves as a subset of the Russians/”Moskali” (how Russians were referred to be Ukrainian peasants from Kiev or Poltava regions), no more than they thought of themelves as Ukrainians. The latter link decribes the interesting effect of education on perception, describing some famous studies by Luria in the USSR and comparing them to self-identificaion on census. I don’t have permission to quote from those chapters, but to paraphrase: Luria found that pre-literate people categorized shapes by their reseblence to practical objects. Rather than group circles with circles or squares with squares, they groups together objects by how they could be used together. Educated people, in contrast, grouped squares with sqaures. Similarly, in the 1926 soviet census, pre-modern illiterate people did not understand or define themselves as Tadjiks, or whatever, but as people from particular villages, or as having a particular religion, or as being a herdsman. Classification was concrete and functional, not abstract. Nationality, like shapes of Euclidian geometry, is a learned abstract concept that is dependent on mass schooling. Secondary to that point, once learned it cannot be “unlearned.” National-self conception be created among illiterate pre-modern people, but once it has been achieved it is incredibly resilient and resistent to change. "I would define nationalism as the belief in an imagined community defined by common history and distinctiveness, that ought to be ruled only by a member of the same “nation,” and that only this “nation” has the right to rule over land that its people have occupied historically. This is a rather modern idea." I think that the ancient Greeks had most, maybe even all the elements of this idea. Common history, distinctiveness. They obviously had a big problem with being ruled by the Achaemenids. And even Philip of Macedon encountered some resistance because of not being Greek enough in the eyes of some Greeks. At the level of folklore the Hellenes defined themselves as the descendants of an ancient individual named Hellen. This is a very common folkloric device. A medieval legend described Czechs and Poles as descendants of two brothers, Cech and Lech, respectively. A different medieval legend described Viatichi as the descendants of a man named Viatko. I think I remember this device being used in connection with Roman-era Germanic tribes too. The authors of the Old Testament explained the origins of the three races known to them in the following manner: after the flood the Earth was repopulated by the three sons of Noah: Ham, Shem and Japheth. The authors of Genesis classified European-type peoples as the descendants of Japheth, Middle Eastern-type peoples as the descendants of Shem (the word Semite comes from his name) and African-type peoples as the descendants of Ham (and yes, this is where the meaning of the Russian word хам comes from). There is no doubt in my mind that if the authors of Genesis were aware of East Asians, they would have added a fourth brother to the story. The different sons of Japheth were described as single progenitors of different European-type peoples, the different sons of Shem as progenitors of different Middle Eastern peoples, and the different sons of Ham as progenitors of different African peoples. Why was this folkloric device so common, so widespread, so stable through the millennia? Loyalty is naturally owed to family. People naturally stick up for their own, and they naturally define their own in terms of relatedness, common descent. It was surely a simplification to say that all Hellenes were descended from a single male named Hellen, but I'm sure that it was a simplification of the truth. According to geneticists, modern self-defined ethnicities have a very strong tendency to be genetic clusters of relatedness. The average modern self-defined German is more related to a random German than to a random Italian. Self-identification tends to roughly coincide with genetic facts on the ground. Knowing human nature, I assume that this was always the case for self-defined groups. The average ancient Hellene shared a lot more common ancestry with a random Hellene than with a random Scythian, Egyptian, etc. And the single-common-eponymous ancestor story was meant to symbolize this fact in a very simple, though probably not literally factual way. 1) Politically-correct fiction. If you don't like somebody's nationalism, one way to marginalize it is to invent the idea that nationalism is a recent invention. It is not. It's literally older than the Bible. It IS in the Bible, of course, but I've come across it even in Sumerian history. I remember reading a translation of a Sumerian letter, probably in S.N. Kramer's popular book on Sumer, where the Sumerian author referred to an individual with a Semitic name as being of "foreign seed". I'm pretty sure that Egyptians referred to the Hyksos as foreigners and resented their rule deeply. 2) A tiny bit of truth. In the decades before the French Revolution atheism, agnosticism, secularism were spreading through Western European intellectual circles. Christianity is universalist. If you subtract Christianity from an intellectual's mindset, you're going to increase his level of ethnic nationalism. So there was an increase in ethnic nationalism in Western Europe in the decades before and after the Revolution. But this was not an increase from absolute zero. A level of absolute zero would have been incompatible with who we are as a species. I suspect that they considered "Moskali" to be another subset of Russians. Russians were the heirs of Kievan Rus'. To a Ukrainian "Moskali" would have been one type of such heirs. They themselves were another. "Nationality, like shapes of Euclidian geometry, is a learned abstract concept that is dependent on mass schooling." If this were true, why would modern self-defined ethnicities largely coincide with genetic clusters of relatedness? There are maps on the Internet, some in the Wikipedia, that show how European ethnicities cluster in genetic tests. Spaniards cluster with Spaniards, Frenchmen cluster with Frenchmen, etc. There are no surprises. 19th century nationalists didn't have access to genetic tests. If they were inventing these nations out of thin air, why did the results come so close to reflecting the genetic reality on the ground? Not always the case, however. There’s some interesting material in Robert Bartlett’s “The Making of Europe” (which deals with Europe’s internal colonization in the Middle Ages). He cites appeals by Czech and Polish leaders to each other, where they state that their peoples should be allied because of their closeness in language. There’s also the way in which German colonists and immigrants defined themselves vis-a-vis local peoples; if you wanted to join a guild, for instance, you had to present a certificate proving your German ancestry (Geburtsbrief). Some other examples: when founded, Charles University in Prague divided its students into four “nations” (Czechs, Germans, and I forget the two others). When visiting Tallinn, I discovered that guilds were also divided this way: one guild for Germans, another for everyone else (Estonians, Finns, Swedes). I suspect, though, that the pre-modern German communities in Eastern Europe were analogous to the Jewish and Armenian "colonies" in those same locations, rather than to modern Zionist (nationalist) Jews. Due to lingusitic or religious differences they were conscious of being different from the locals and constituting a separate community from them, but weren't nationally oriented. Another example might be the Baltic or other Germans in service to the Russian tsars: they spoke German and were part of s German community, but thought in terms of their (Russian) state or service to their (Russian) monarch rather than in nationalistic terms of the German volk. Some of these peoples' descendents were conflicted when Russian and German nationalism developed in the 19th century; their ancestors in the tsars' service 100 years earlier were not so conflicted. I suspect, though, that the pre-modern German communities in Eastern Europe were analogous to the Jewish and Armenian “colonies” in those same locations, rather than to modern Zionist (nationalist) Jews. Due to lingusitic or religious differences they were conscious of being different from the locals and constituting a separate community from them, but weren’t nationally oriented. Another example might be the Baltic or other Germans in service to the Russian tsars: they spoke German and were part of s German community, but thought in terms of their (Russian) state or service to their (Russian) monarch rather than in nationalistic terms of the German volk. Some of these peoples’ descendents were conflicted when Russian and German nationalism developed in the 19th century; their ancestors in the tsars’ service 100 years earlier were not so conflicted. Loyalty is naturally owed to family. People naturally stick up for their own, and they naturally define their own in terms of relatedness, common descent. It was surely a simplification to say that all Hellenes were descended from a single male named Hellen, but I’m sure that it was a simplification of the truth. According to geneticists, modern self-defined ethnicities have a very strong tendency to be genetic clusters of relatedness. The average modern self-defined German is more related to a random German than to a random Italian. Self-identification tends to roughly coincide with genetic facts on the ground. Knowing human nature, I assume that this was always the case for self-defined groups. The average ancient Hellene shared a lot more common ancestry with a random Hellene than with a random Scythian, Egyptian, etc. And the single-common-eponymous ancestor story was meant to symbolize this fact in a very simple, though probably not literally factual way. 1) Politically-correct fiction. If you don’t like somebody’s nationalism, one way to marginalize it is to invent the idea that nationalism is a recent invention. It is not. It’s literally older than the Bible. It IS in the Bible, of course, but I’ve come across it even in Sumerian history. I remember reading a translation of a Sumerian letter, probably in S.N. Kramer’s popular book on Sumer, where the Sumerian author referred to an individual with a Semitic name as being of “foreign seed”. I’m pretty sure that Egyptians referred to the Hyksos as foreigners and resented their rule deeply. 2) A tiny bit of truth. In the decades before the French Revolution atheism, agnosticism, secularism were spreading through Western European intellectual circles. Christianity is universalist. If you subtract Christianity from an intellectual’s mindset, you’re going to increase his level of ethnic nationalism. So there was an increase in ethnic nationalism in Western Europe in the decades before and after the Revolution. But this was not an increase from absolute zero. A level of absolute zero would have been incompatible with who we are as a species. I suspect that they considered “Moskali” to be another subset of Russians. Russians were the heirs of Kievan Rus’. To a Ukrainian “Moskali” would have been one type of such heirs. They themselves were another. If this were true, why would modern self-defined ethnicities largely coincide with genetic clusters of relatedness? 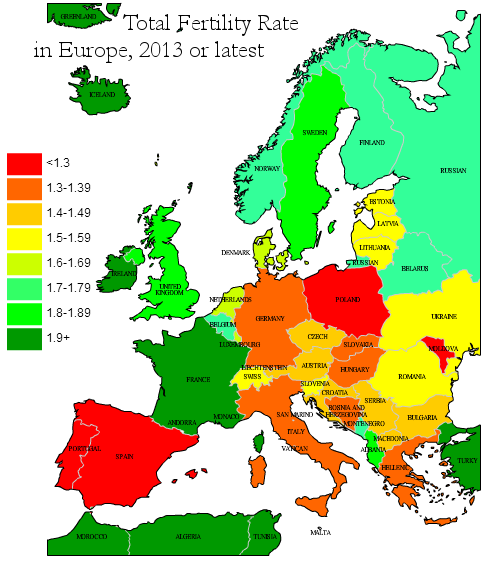 There are maps on the Internet, some in the Wikipedia, that show how European ethnicities cluster in genetic tests. Spaniards cluster with Spaniards, Frenchmen cluster with Frenchmen, etc. There are no surprises. 19th century nationalists didn’t have access to genetic tests. If they were inventing these nations out of thin air, why did the results come so close to reflecting the genetic reality on the ground? I wrote above that if you subtract Christianity from an intellectual's mindset, you're going to increase his level of ethnic nationalism. We've all witnessed a similar effect with Communism. Like Christianity and Islam, Communism was a universalist ideology. When it went away, the levels of ethnic nationalism were increased in all affected areas. But not from an absolute zero. Not from anything close to an absolute zero. Even Communism, which had mass media at its disposal, couldn't squash the ethnic-nationalist instinct. It's my impression that pre-modern Christianity and Islam, lacking the tools of mass media, were even less successful at squashing this instinct than Communism was. Future trend: more nationalism. Mass media is being replaced by individuals talking to other individuals over the Internet. As the tools of mass persuasion (or brainwashing, depending on one's attitude to what's being said) get weaker, the natural instincts of mankind will become louder. You've mentioned Germans serving the Russian Empire. I think that there was a lot of resentment of that in Russia going back to Peter I's time. One of the reasons why Peter turned against his son was that he feared that Alexey would lead a native revolt against his, Peter's policies, against foreignisation at the top. In War and Peace there is a lot of resentment against Germans serving the tsar. 1. My impression is that the ancient Greeks thought of themselves in terms of their city-states rather than as members of a single Greek nation. They were Athenians, or Spartans, etc. Of course, they could perceive others such as Persians as being more different from them that tnhey were from each other, in the same way that various European peoples would see the Turks, or the Mongols, or the Chinese as non-European and/or barbaric, but this was not the same as the Greeks thinking of themselves as a "Greek nation." "Greeks" for them seemd to have been a term like "Europeans" for the Germans, French, etc. Thebes, for example, sided with the Persians against other Greek city-states and Athens allied with Macedon against Thebes. 2. The difference between loyalty and self-identification towards family and neighbors, or as professions ("peasants", or "horsemen", or such) and loyalty to nations is that loyalty to family, village and neighbors (or local chieftain) is concrete. It is people whom one knows, sees, or is related to. Loyalty to a "nation" is abstract, an idea and as such is learend rather than innate. This is supported empirically. In a study in Bangladesh, for example, villagers with no formal education identified themselves as belonging to a particular village or profession; only those with a formal education identified themselves as "Bangladeshi." In the Soviet census of 1926, central Asians with no formal education could not identify their "nationality" (they had not yet learned what it was) and, like the Bangladeshi illiterates, described themselves as being from a particular village or being a "herdsman" - concrete perceptions based on what they saw or did. In Ukraine, depending on the type of mass schooling their particular region experienced, otherwise completely identical people in western Ukraine could self-identify as members of the Ukrainian or of the Rusyn nation. Prior to mass schooling western Ukrainians might call themselves Rusyns but for them this meant they were Orthodox or Uniate rather than Roman Catholic; the idea of belonging to a long-forgotten historical entity or to a specific population was abstract and incomprehensible. Also, Bosnian Croats are genetically closer to Bosnian Serbs than they are to Croats from Croatia. Of course, there is a correlation between genetics and nations; 19th century nation builders based their projects on similar spoken language and people who spoke a similar dialect and lived in the same area were more likely to be related to each other. But abstract national ideas were superimposed on population, and not always neatly so. I wrote above that if you subtract Christianity from an intellectual’s mindset, you’re going to increase his level of ethnic nationalism. We’ve all witnessed a similar effect with Communism. Like Christianity and Islam, Communism was a universalist ideology. When it went away, the levels of ethnic nationalism were increased in all affected areas. But not from an absolute zero. Not from anything close to an absolute zero. Even Communism, which had mass media at its disposal, couldn’t squash the ethnic-nationalist instinct. It’s my impression that pre-modern Christianity and Islam, lacking the tools of mass media, were even less successful at squashing this instinct than Communism was. Future trend: more nationalism. Mass media is being replaced by individuals talking to other individuals over the Internet. As the tools of mass persuasion (or brainwashing, depending on one’s attitude to what’s being said) get weaker, the natural instincts of mankind will become louder. I think that there is another universalist ideology that makes nationalism obsolete in the West; this can be described clumsily as secular-multicultural-human-rights-democracy. Communism couldn't crush the ethnic-nationalist mindset because that mindset was created prior to communism and nationalist self-identification, once created, is quite resilient. You’ve mentioned Germans serving the Russian Empire. I think that there was a lot of resentment of that in Russia going back to Peter I’s time. One of the reasons why Peter turned against his son was that he feared that Alexey would lead a native revolt against his, Peter’s policies, against foreignisation at the top. In War and Peace there is a lot of resentment against Germans serving the tsar. Communism couldn’t crush the ethnic-nationalist mindset because that mindset was created prior to communism and nationalist self-identification, once created, is quite resilient. Arguably, this "secular-multicultural-human-rights-democracy" ideology is much like Communism paving the way for its demise by the social collapse and mass immigration that it tends to encourage in countries that uncritically adopt it. Irony: Left liberal parties are the most enthusiastic about adopting this ideology, but the logical result of this is their own extinction (as we see in Lebanon), where all parties become ethnic/religious and nationalist ones representing their own groups. Arguably, this “secular-multicultural-human-rights-democracy” ideology is much like Communism paving the way for its demise by the social collapse and mass immigration that it tends to encourage in countries that uncritically adopt it. Irony: Left liberal parties are the most enthusiastic about adopting this ideology, but the logical result of this is their own extinction (as we see in Lebanon), where all parties become ethnic/religious and nationalist ones representing their own groups. 1. My impression is that the ancient Greeks thought of themselves in terms of their city-states rather than as members of a single Greek nation. They were Athenians, or Spartans, etc. Of course, they could perceive others such as Persians as being more different from them that tnhey were from each other, in the same way that various European peoples would see the Turks, or the Mongols, or the Chinese as non-European and/or barbaric, but this was not the same as the Greeks thinking of themselves as a “Greek nation.” “Greeks” for them seemd to have been a term like “Europeans” for the Germans, French, etc. Thebes, for example, sided with the Persians against other Greek city-states and Athens allied with Macedon against Thebes. 2. The difference between loyalty and self-identification towards family and neighbors, or as professions (“peasants”, or “horsemen”, or such) and loyalty to nations is that loyalty to family, village and neighbors (or local chieftain) is concrete. It is people whom one knows, sees, or is related to. Loyalty to a “nation” is abstract, an idea and as such is learend rather than innate. This is supported empirically. In a study in Bangladesh, for example, villagers with no formal education identified themselves as belonging to a particular village or profession; only those with a formal education identified themselves as “Bangladeshi.” In the Soviet census of 1926, central Asians with no formal education could not identify their “nationality” (they had not yet learned what it was) and, like the Bangladeshi illiterates, described themselves as being from a particular village or being a “herdsman” – concrete perceptions based on what they saw or did. In Ukraine, depending on the type of mass schooling their particular region experienced, otherwise completely identical people in western Ukraine could self-identify as members of the Ukrainian or of the Rusyn nation. Prior to mass schooling western Ukrainians might call themselves Rusyns but for them this meant they were Orthodox or Uniate rather than Roman Catholic; the idea of belonging to a long-forgotten historical entity or to a specific population was abstract and incomprehensible. Brief addendum: France is also geographically quite diverse in terms of genetics, with Celtic, Germanic, and Latin areas and pre-modern histories of different languages being spoken in different regions. Yet modern mass education created a single nation out of these different peoples. In the classical period the Greeks didn't form a state, but they were very aware of being Greeks. There were pan-Hellenic games, of which the Olympics were just one example. I remember reading about a controversy on whether or not the Macedonians should have been admitted to the Olympics. This stemmed from a controversy about how Greek the Macedonians really were. When Alexander conquered the Persian Empire, he wanted to promote intermarriage between his Greek army and his Persian subjects. He thought that this would make running a multi-ethnic empire easier for him and his descendants. Plutarch wrote about Greek resistance to his plan. They didn't want to orientalize, they were appalled at him acting like an oriental despot. In the classical period the Greeks didn’t form a state, but they were very aware of being Greeks. There were pan-Hellenic games, of which the Olympics were just one example. I remember reading about a controversy on whether or not the Macedonians should have been admitted to the Olympics. This stemmed from a controversy about how Greek the Macedonians really were. When Alexander conquered the Persian Empire, he wanted to promote intermarriage between his Greek army and his Persian subjects. He thought that this would make running a multi-ethnic empire easier for him and his descendants. Plutarch wrote about Greek resistance to his plan. They didn’t want to orientalize, they were appalled at him acting like an oriental despot. Gorbachev followed, and glasnost gave Ukrainians a shot at being actual people, so they took it and voted for independence in the referendum. Even Crimea had had a majority vote, which should tell you a lot about Stalin’s efforts. Most Ukrainian politicians seem to have taken lessons from Russia though and the country now is only slightly more democratic than Belarus. Could end up being a Russian state again as the younger people resent their politicians more and more. Pity, but c’est la vie. Oh, you do speak French, right? It’s the Russian way.